Picking a WordPress theme can be tricky. Even trickier is making the decision to subscribe to a theme club. You’ll obviously need to make sure that whoever you decide to go with has plenty of options for you to choose from so that you can implement a website that suits your tastes, but there are plenty of other important factors to take into account as well. Here are some reasons why we think that choosing ThemeFuse is a great decision. 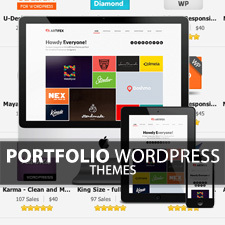 ThemeFuse isn’t just a collection of awesome WordPress themes, it’s a collection of awesome WordPress themes built upon and equally awesome framework that powers their huge backend administration panel, which allows you to take complete control over just about any element of your theme. Don’t get stuck with a theme that makes you conform to its style. Instead, go with the option that allows you to customize your site to tailor it to your specific needs. As far as theme club frameworks are concerned, ThemeFuse’s Fuse Framework is among the best in the industry and absolutely the most important factor in choosing to go with the club. Shortcodes are a great tool to use with any theme as they allow you to unlock some great potential with layouts and styles. In fact, with a proper set of shortcodes in place, the only real limit you’ll have to developing a killer looking page is your imagination! ThemeFuse includes a great set of shortcodes that are useful for a variety of situations, allowing you to take your website in the direction you want. 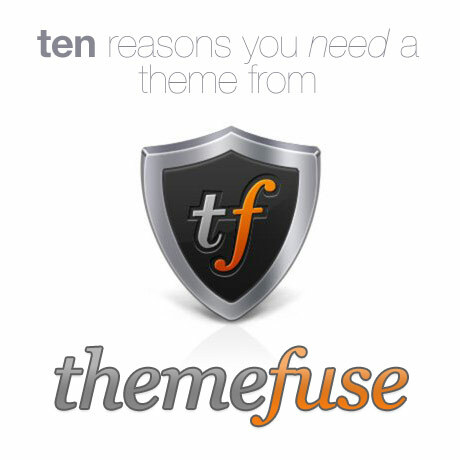 All themes on ThemeFuse can be purchased with a standard license or a developer license. The developer license costs a little bit more, but you’ll receive a multiple-use license with the theme, layered PSD files, and the HTML and CSS files as well. All of these added benefits make going with ThemeFuse a great choice for developers looking to get projects off the ground more quickly. ThemeFuse provides all of their suport through their support forums, along with including extensive documentation for each theme. The documentation that comes with each theme is very thorough and even includes videos to help you get your WordPress installation up and running from the very start! If you’re needing A LOT of help on various projects as a developer or designer, you can certainly purchase individual themes as you need them, but you might find it more helpful to go with the developer bundle, which includes all themes available on ThemeFuse for an insanely good one-time price. For the amount of functionality you’ll receive versus the cost, it’s practically a no-brainer if you find yourself constantly backlogged on work needing to bootstrap a project quickly and efficiently. While ThemeFuse doesn’t directly customize themes that they provide, they do work hand in hand with certified WordPress professionals who can help you with anything you’re looking to have done. Each developer’s expertise is listed below their name on the customization page so that you can find the right person for the job with ease! One of the great things about the offerings provided by ThemeFuse is that they don’t fall into the same mold as a lot of the other theme clubs out in the market. ThemeFuse has plenty of designs suited specially for restaurants, bistros, bars, photographers, videographers, doctors, writers, marketers, artists, and so much more! Who wants to mess around with server settings or configuration files all day getting a theme setup? That’s so 2011. 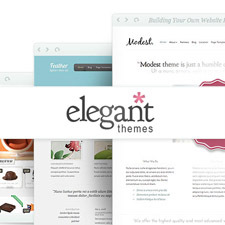 In 2012, we install our themes with ease (as long as it’s from ThemeFuse that is). All ThemeFuse templates are able to be setup with a simple click of a mouse! It’s really that easy. You’ll be up and running in no time. All ThemeFuse themes come with built-in SEO and marketing options to ensure that your site rises to the top of the organic search mountain with relative ease. With great content and a good SEO strategy in place, it won’t be long before traffic starts coming into your site regularly and consistently. And last but not least, what’s a good looking theme if it doesn’t look good across all browsers? There’s nothing to worry about if you’re rocking a ThemeFuse premium template as all designs are compatibile with Internet Explorer, Firefox, Safari, Chrome, and Opera. This is a very good article. Thank you very much!